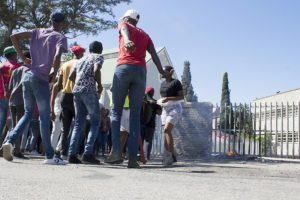 Classes are set to resume today at Eastcape Midlands College in Makhanda (Grahamstown) after a meeting of management and students that continued late into yesterday afternoon. Student leader Sabelo Madlala said the meeting in the City Hall Monday 11 February, facilitated by Makana Mayor Mzukisi Mpahlwa, was productive. 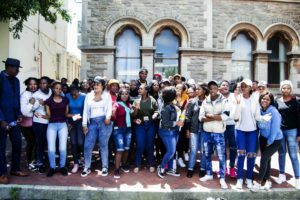 The students have been protesting outside the Makhanda (Grahamstown) campus daily since Thursday 7 February, when they marched to the City Hall. 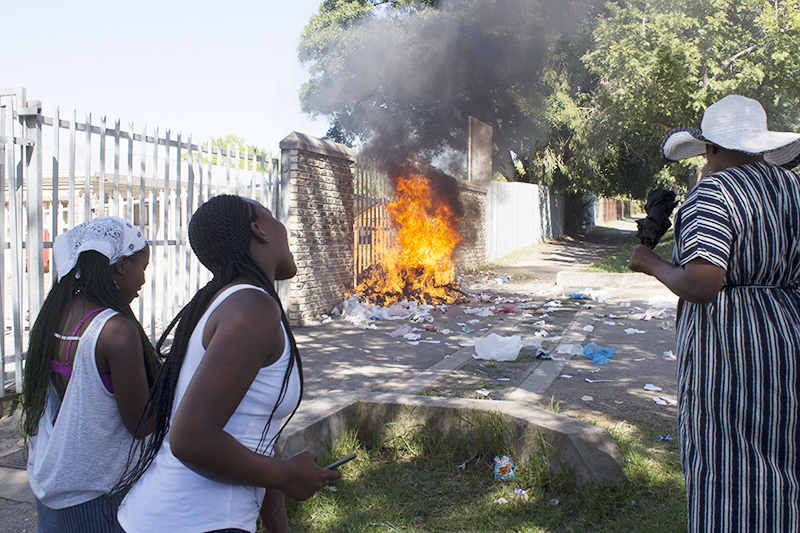 Last Friday and today they burned rubbish outside the main gates. Their demands, as listed in a document dated 4 February and elaborated on by Sasco convener Madlala, include registration anomalies, a lack of transport for late classes, queries about NSFAS funding, the status of the SRC, alleged shortages of textbooks, lecturers, toilets, toilet paper, computers and internet. They demanded that management meet them to hear their grievances. 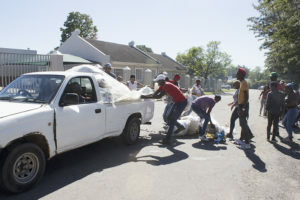 On Friday, they stopped bakkies with trailers full of rubbish collected by Makana Revive and individual residents during an ongoing strike by municipal union SAMWU, to throw on to a pile of burning material at the gate. South African Further Education and Training Student Association (Safetsa) Deputy President Yonke Twani met with the students on Thursday 7 February. 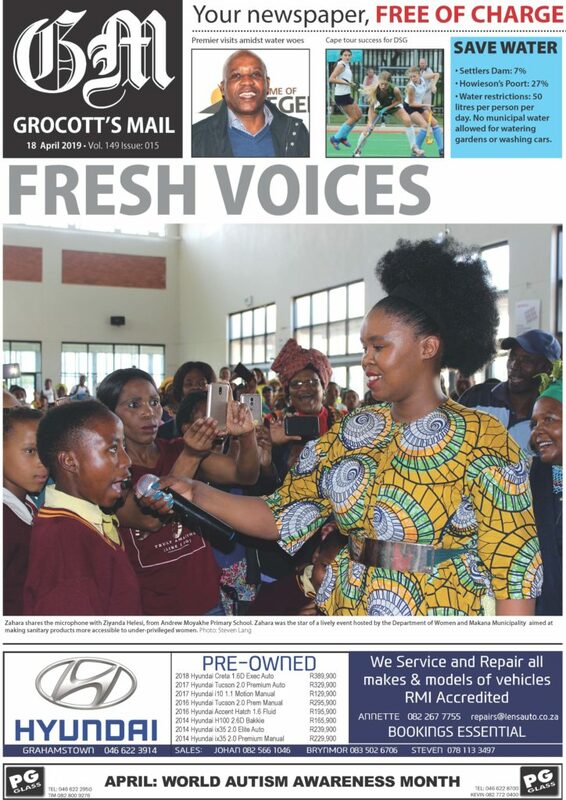 “Students informed us that the information they are getting from the school [about their]status contradicts the information they get from the National Student Financial Aid Scheme (NSFAS),” Twani told Grocott’s Mail onThursday. While their records at the institution indicated they weren’t funded, NSFAS had informed them they were bursary recipients funded for the 2019 academic year, Twani said. 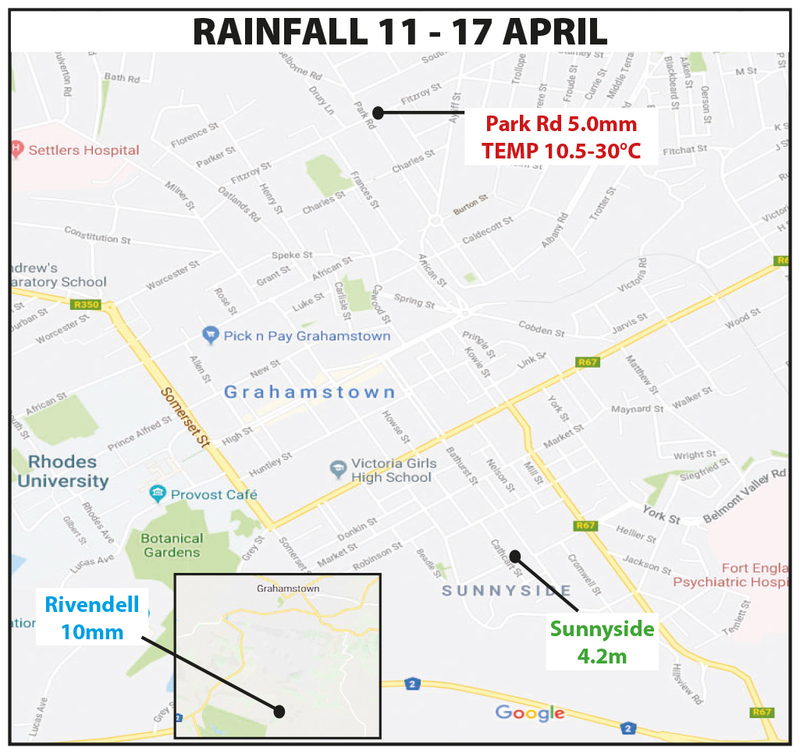 EMC spokesperson Elmari van der Merwe said last week that members of the Executive Management would visit the Grahamstown Campus on Monday 11 February 2019 to engage with students in order to resolve concerns. Around 30 students, staff and management were meeting with Mpahlwa in the Council Chamber at the City Hall Monday afternoon at 3.15pm. Madlala afterwards said the meeting had been successful and agreement was reached on all issues. “On accommodation, management assisted by students will look for suitable accommodation in town. And the college said they would engage taxi drivers to provide a service after late classes. The college confirmed that toilets were due to be renovated and the Principal had expressed surprise that they run out of toilet paper, saying ths wqas delivered to the campus weekly. Last night EMC confirmed to Grocott’s Mail that classes were set to resume Tuesday 12 February. Spokesperson Elmari van der Merwe said, “Members of the Executive Management of Eastcape Midlands TVET College have met with student representatives of the Grahamstown campus [Monday 11 February 2019]. Issues raised by students have been resolved and feedback will be given to all Grahamstown students [Tuesday 12 February] morning. Teaching and learning will continue at the campus [Tuesday]. * This article has been updated at 6.45am on Tuesday 12 February.